Have you seen Tom speak? Leave a review. Named one of the industry’s “Killer Consultants”, Tom Koulopoulos is a leading futurist. The founder of the 25-year-old premier think tank, Delphi, he provides advice on innovation practices and methods to Global 2000 organizations and government agencies. Delphi has served nearly 20,000 clients across all industries as well as federal and state government agencies around the world. Mr. Koulopoulos is an authority on the implications of information technology on global organizations. He is the author of 10 books, many of which have introduced core industry concepts, frameworks and vernacular such as Innovation Zones, Smartsourcing, Single Point of Access, and Touch Points, among others. 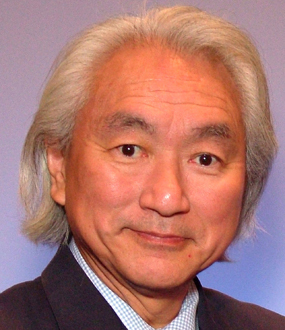 His latest books are Revealing the Invisible, The Gen Z Effect and Cloud Surfing. 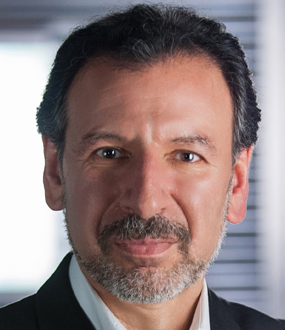 Mr. Koulopoulos is also an Executive in Residence at Bentley University, where he teaches graduate courses on Innovation; a Board member of the Kaplan School for Information Technology; and a faculty member of Harvard University’s School of Public Health. He has been an adjunct professor at the Boston College Wallace E. Carroll Graduate School of Management and a guest lecturer at the Boston University Graduate School of Management. 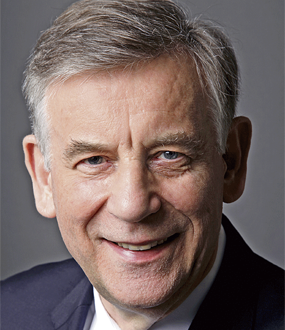 He is the past Founding Executive Director of the Babson College Research Center for Advanced Business Innovation, where he oversaw some of the world’s leading research and thought leadership on the topic of Business Innovation. Tom Koulopoulos is chairman of the Boston-based global futures think tank Delphi Group, which was named one of the fastest growing private companies in the US by Inc. Magazine. Tom is also the author of eleven books, a frequent business commentator on MSNBC, a columnist for Inc.com, an adjunct professor at Boston University Graduate School of Management, an Executive in Residence at Bentley University, the past Executive Director of the Babson College Center for Business Innovation, and past Executive Director of the Dell Innovation Lab. Tom Koulopoulos pinpoints two trends that will affect every industry: the increasing number of computing devices and the squaring of the population pyramid. He reports that in a world of 7 billion people there are currently 6 billion cell phones. By 2100, it is projected that there will be more computing devices on earth than grains of sand. Tom Koulopoulos provides a remarkable combination of energy, deep knowledge, business insight, and humor in a keynote package tailored for each audience. Weaving a rich tapestry of story telling and technology vision, Mr. Koulopoulos connects with audiences on a deep level as he challenges them not only to question the way they run their business, but the way they run themselves, as well. 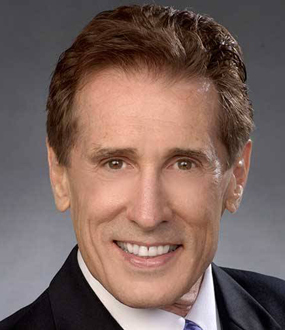 Drawing on material from ten books, not to mention three decades of business and technology leadership, his presentations will do more than motivate and entertain; they will fundamentally change the way you look at yourself and your organization. The world is at the precipice of one of the most dramatic shifts in history: the transition from an industrial society to one that is based on a deep understanding of an entirely new form of knowledge capital, behavior—our behaviors as well as those of the intelligent machines that we are building. And it’s not just human behaviors that are being captured and analyzed. AI-powered autonomous vehicles, smart devices, algorithms, and intelligent machines will all exhibit behaviors. In this very near future, every person and digital device will have its own digital-self—a digital twin which knows more about us than we know about ourselves. These intelligent objects will communicate with each other across vast digital ecosystems, creating a level of collaboration and transparency we can barely imagine today. Your digital-self will be one of your most valuable assets, requiring radical new technologies and approaches for how you own, protect, and share your digital behaviors. Far-fetched? Only if you discount the enormous power of new technologies such as Artificial Intelligence and machine learning, which will use the invisible patterns in all of our behaviors to develop an intimate understanding of what drives us, where we see value, and how we want to experience the world. Fascinating, engaging, and incredibly timely, Revealing the Invisible provides a front row seat to the future of business and our lives in the 21st century. The single most significant shift in business is underway - Digital Business Ecosystems. Simply put, Digital Business Ecosystems are at the heart of successful high growth companies such as Uber, Airbnb, Tesla, Google, Amazon, Netflix, Alibaba, Samsung, Nest, and GE. Digital Ecosystems create entirely new business models that drive out all of the friction in an industry and use data and technology to create an entirely new user experience that provides an integrated and nearly effortless customer experience. In this leading edge keynote, Tom looks at how Digital Disruption, Transformation and Business Ecosystems will be critical to the success of every business in every industry over the decades to come. One of the most profound changes in business and society is the emergence of the post-millennial generation, Gen Z. While every new generation has faced its share of disruption in technology, economics, politics and society, no other generation in the history of mankind has had the ability to make sure that every human being (and every “thing” ) on the planet is connected to each other, fully educated, and economically engaged. What might this mean for the way in which we build our business, markets, and institutions for education in the future? 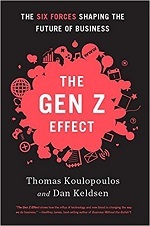 In this revolutionary keynote drawing from his recent book, The Gen Z Effect, Tom delves into a vision of the future that will not only disrupt but also reinvent almost every aspect of how we work, live and play. From radical new approaches to marketing and manufacturing to the potential obliteration of intellectual property and the shift to mass innovation, Tom provides a mind-bending view of why we will need to embrace Gen Z as the last best hope for taking on the world’s biggest challenges and opportunities, and how you can prepare yourself and your business for the greatest era of prosperity and advance the world has ever experienced. In this lightning-paced, tour-de-force session Tom looks at how companies are radically changing their approach to innovation by learning how to fail fast, embrace uncertainty, build for the unknown, abandon the success of the past, focus on their core competencies, and challenge conventional wisdom. Tom uses examples from some of the pioneering innovators from Sony to Apple and 3M to NASA to illustrate some of the best and brightest success stories of innovation at work. His views will provide a prescription for change in how you approach innovation, in a way that is straight-forward, comprehensive, and, above all else, incredibly practical. You’ll identify the ways in which you can drive your own organization’s efforts to increase innovation and better leverage the latent creativity in every organization. Come prepared for an enlightening and life-changing discussion about the importance of innovation and get ready to take a hard look at how culture, generations, and leadership impact the way we innovate. 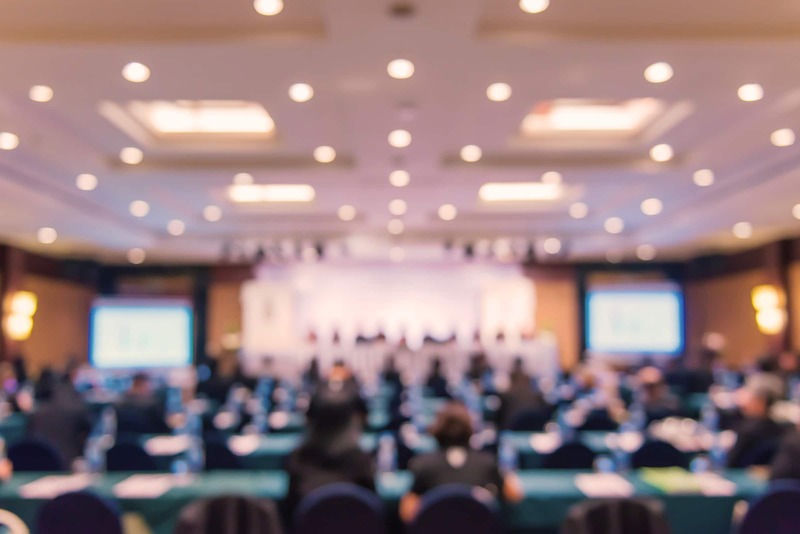 You’ll leave this session with a roadmap and a context for your conference experience and with specific insights, methods and tools to help you quantify your organization’s innovative ability as well as a solid foundation for the decisions you will need to make in the months and years ahead. The Cloud is the hottest topic since the advent of the Internet. And nobody can speak to it with more insight, energy, and humor than Tom. It’s why HP, Microsoft, Gartner, Intel, Cisco and many others have asked Tom to keynote their organizations’ Cloud events. Drawing on his book, Cloud Surfing, Tom paints a powerful picture of how The Cloud will change the way we live, work and play. How will The Cloud define your job, your company, how you do business, and innovation? The key is that technology is only a small part of The Cloud. Just as important is the way The Cloud changes the way we collaborate, work, how we are influenced and how we influence, and how we experience the world. Join Tom as he takes you Cloud Surfing to better understand how we can respond to this massive change in order to transform ourselves and our businesses! The Internet of Everything (IoE) is one of the hottest business and tech topics to come along in years, and nobody can better speak to the impact that IoE will have on our organizations and our lives than Tom Koulopoulos. Tom has worked with many of the cutting edge organizations that are developing the IoT and his research has uncovered trends and startling insights about the new business models that will emerge as a result of the IoT. Imagine that by 2100 the world will have 100 times as many computing devices than grains of sand on all the world's beaches! What sort of society, economy, and businesses will that enable? Join Tom as he connects you to a future of nearly endless possibilities. Revealing the Invisible: How Our Hidden Behaviors Are Becoming the Most Valuable Commodity of the 21st Century. 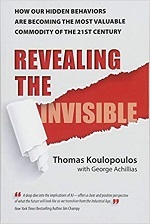 Revealing the Invisible provides a front-row seat to the mind-blowing future, where businesses of the 21st century can read consumers’ minds and make informed decisions based on their behaviors and tendencies. The world is at the precipice of a disruptive new era in which the ability to track every behavior will predict our individual and collective futures. Using artificial intelligence to analyze trillions of once-invisible data (behaviors) across vast digital ecosystems, companies and governments now have unimagined insight into our every behavior. Although making private behaviors “visible” may conjure a sense of 1984, the reality is that a new kind of value will emerge that has the power to radically alter the way we view some of the most basic tenets of business. Concepts such as brand loyalty will be turned on their heads as companies now have to find ways to prove their loyalty to each individual consumer. In addition, the emergence of hyper-personalization and outcome-driven products may begin to solve some of the most pressing and protracted problems of our time. And it’s not just human beings whose behaviors are being captured and analyzed. AI-powered autonomous vehicles, smart devices, and intelligent machines will all exhibit behaviors. In this very near future every person and digital device will have its own cyberself—a digital twin that knows more about us than we know about ourselves. Farfetched? Only if you discount the enormous power of these new technologies, which will use the invisible patterns in all of our behaviors to develop an intimate understand of what drives, us, where we see value, and how we want to experience the world. Revealing the Invisible shows businesses how to predict consumer behavior based on customers’ prior tendencies, allowing a company to make better decisions regarding growth, products, and implementation. One of the most profound changes in business and society is the emergence of the post-Millennial generation, Gen Z. While every new generation has faced its share of disruption in technology, economics, politics and society, no other generation in the history of mankind has had the ability to connect every human being on the planet to each other and in the process to provide the opportunity for each person to be fully educated, socially and economically engaged. What might this mean for business, markets, and educational institutions in the future? The Gen Z Effect delves into a vision of the future where disruptive invention and reinvention is the acknowledged norm, touching almost every aspect of how we work, live and play. From radical new approaches to marketing and manufacturing to the potential obliteration of intellectual property and the shift to mass innovation, to the decimation of our oldest learning institutions through open source and adaptive learning, The Gen Z Effect provides a mind-bending view of why we will need to embrace Gen Z as the last, best hope for taking on the world’s biggest challenges and opportunities, and how you can prepare yourself and your business for the greatest era of disruption, prosperity, and progress the world has ever experienced. When people hear “the Cloud,” they think of cloud computing, just a sliver of what the Cloud is today. The Cloud has grown: it represents the consummate disruptor to structure; a pervasive social and economic network that will soon connect and define more of the world than any other political, social, or economic organization. The Cloud is the first megatrend of the twenty-first century, one that will shape the way we will address virtually every challenge we face for at least the next 100 years. It is where we will all live, work, and play in the coming decades. The Cloud is where your kids go to dive into online play. It’s where you meet and make friends in social networks. It’s where companies find the next big idea. It’s where political campaigns are won and lost. Cloud Surfing is the groundbreaking book that will explain how to access the full value of the Cloud and how to embrace its possibilities. 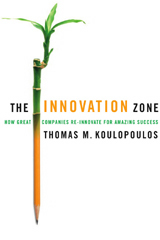 The Innovation Zone demonstrates that most dynamic innovations are not a single stroke of brilliance and great, new products but are a disciplined, easily-learned business process that includes an organizational incubator that supports and sustains the practice of turning ideas into breakthrough innovations. 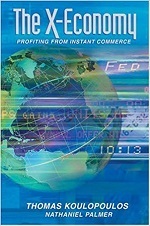 Debunking nearly all other books′ approach that innovation is just great products, classic examples such as GM and OnStar(R) and 3M and Post-It-Notes(R) demonstrate how the author′s Six Lessons of Innovation can be learned, refined, and developed by leaders and organizations into core competencies for success. 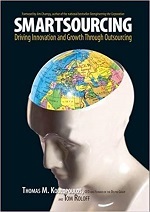 Outsourcing is the most popular movement of the new global business economy. In fact, the typical executive will soon spend one-third of their budget on outsourcing! Smartsourcing is the next evolution in outsourcing. Traditional outsourcing reduces costs by moving the work to where the least expensive workers are. While that may cut costs, it simply replicates the status quo. Smartsourcing goes a step further by showing companies how to partner with service providers to not only cut costs, but also increase innovation across the full spectrum of their business. Smartsourcing is the first book on the market to be ahead of the curve on one of the most important shifts in business today. Today, an unprecedented amount of capital fuels higher and higher levels of innovation and entrepreneurism. Organizations are struggling to acquire survival skills as trade evolves in all dimensions: speed, magnitude, diversity and intricacy. Just as Newton’s view of the world gave way to Einstein’s relativity which then made room for Bohr’s quantum mechanics, so we need to replace our 18th century views of business to make way for new models of understanding the interactions of the markets. This crucible is the Exchange economy, an environment that will radically alter the skills we and our organizations will need to survive in the coming years. Written by one of the nation′s best-known technology consultants, this book presents a set of management and technology tools to help manage an organization′s shared knowledge and cultivate its intellectual assets. 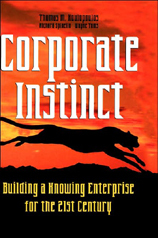 Drawing on interviews with 350 companies from across the economic spectrum, Corporate Instinct offers a detailed road map for developing your own corporate instinct and a comprehensive context for understanding how and why this sixth sense offers enduring competitive advantage. Filled with insights on revamping a corporation′s culture, structure and core competencies for the 21st century, this book offers a blueprint for a business which focuses on innovation, not administration.